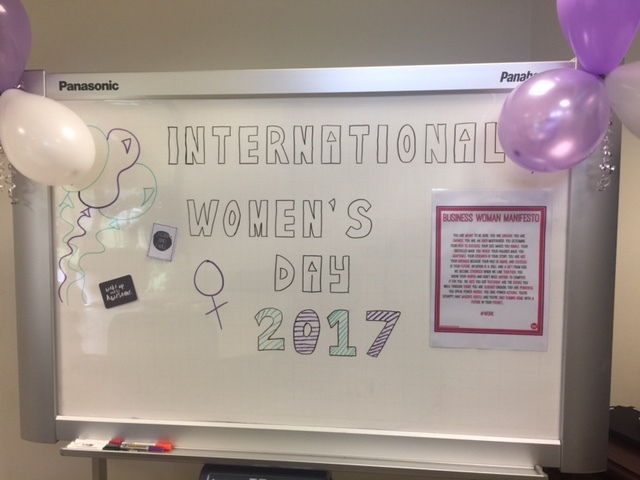 TASC has joined in the celebrations of IWD 2017 in a number of ways. On Monday 6th March the Social Club held a Body Shop fundraising event where staff had the opportunity to join together, enjoy the beautiful body shop products and support fundraising for Manna House DV Shelter. 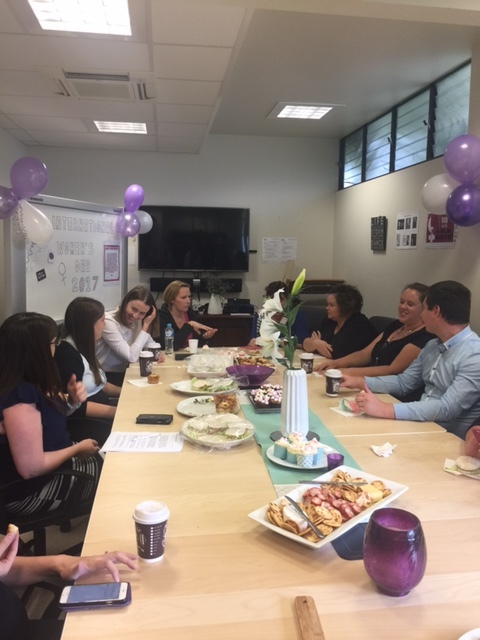 In the morning of the 8tha special IWD morning tea was held, where staff met together to celebrate the great diversity of women within our organisation and enjoy a beautiful spread of food and great conversation. Later that day the Administration and Business Services staff were honoured to attend the Australian Institute of Management Women’s Day lunch at Tapestry Bar and Grill. Guest speaker for this event was Melissa Taylor, Managing Director, Taylor’s Removals and Storage, who spoke on Australia in 2017, is it still a man’s world.